Memorable, classy, elegant, or just some extra fun. We are professional, flexible, dependable and versatile. String quartet, string trio, jazz guitar, pianist, vocals, violin, cello. We are available for corporate parties, worship services, festivals, romantic dates, wedding proposals, weddings, vow renewals, anniversaries, private parties, fundraisers, studio recording, orchestral needs, stage productions, and more. 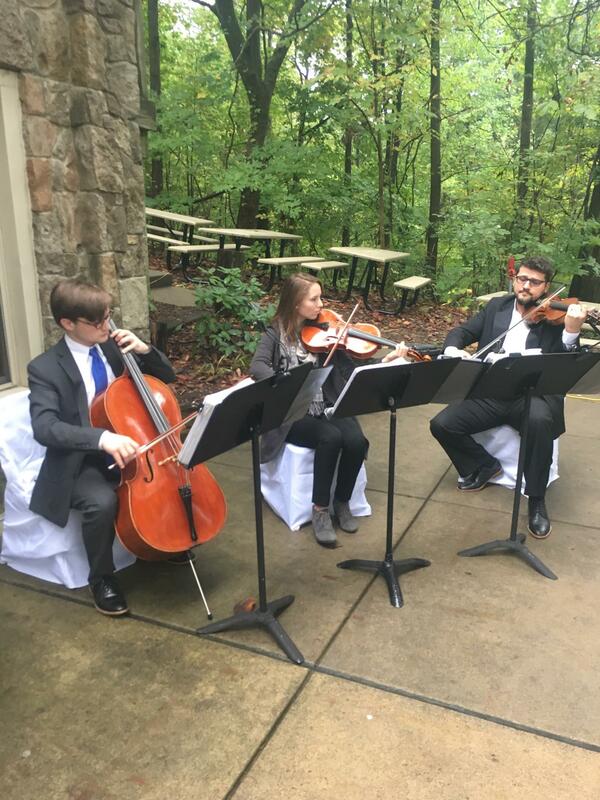 We can play it from classical, broadway, movie music, pop, rock, R&B, oldies, country, to church music and are open to new kinds of music for your event! Send a quick message for a quote, make sure to check out our video clips. Strings in One played at our wedding ceremony and they did a wonderful job! Mircea was great to work with, very professional and quick to respond. They played beautifully! If you’re looking for musicians for your wedding ceremony, I highly recommend them! 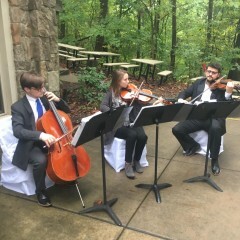 Strings in One was an excellent trio for my wedding on Saturday! All members showed up early to the wedding to set up and were ready to go perfectly on time! They took the time to learn two songs for our wedding ceremony and played them incredibly well. They quality of their music was excellent and were a very reasonable price! I would hire them again in a heartbeat! Definitely a worthwhile add to our ceremony. 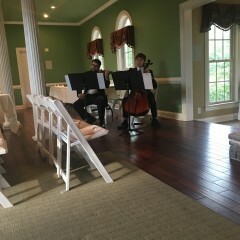 We hired Strings in One - a cello and violin - for a surprise birthday party for my mother-in-law and they were fantastic! Working with them was incredibly easy and their performances were flawless. They even learned some new and difficult pieces specifically for our occasion. I can't wait to have the opportunity to work with them again! It was our pleasure to provide beautiful live music for your mother-in-laws birthday! Thank you for the opportunity! We had a great experience with Strings in One. They made our day extra special. Strings in One is fabulous. They made my wedding so special. All the guests could not quit talking about their performance. This group is talented and professional. If you want a wonderful performance, they are the best ever. Thank you Strings in One, you guys are magical!!!! Marcia was very kind and made planning the music for my wedding SO easy! The music was amazing and added that sophisticated splash I was looking for! They played both classical and modern harmonies and certainly impressed by guests! I highly recommend Marcia and his teams. It was perfect!! Would recommend and use them again! We hired Strings In One to play during the ceremony and cocktail hour of your wedding. They were great to work with leading up to the event and sounded so beautiful playing during the ceremony and cocktail hour. Tons of compliments from guests!! Mircea's music made the event relaxing, special and classy. Highly recommend. Strings in One brought elegance to our wedding. The violin and cello were played so beautifully. All our guests were in awe of these professionals. The guests had the most wonderful complements on the music at the ceremony. The musicians were second only to my wedding dress in compliments. I highly recommend Strings in One!! They made our day so very special. The communication from the first day booked was excellent. Questions asked were answered so quickly. We had the pleasure of working with Rachel and Felix and all I can say is wow. The music sounded wonderful. The arrived on time and set up quickly. Thank you all for making our big day the beat that it could be. Beautiful music! Wonderful to work with! Mircea was very professional and wonderful to work with from the start. He was willing to learn a few new songs and provided good feedback if he didn't think a song would work well with a solo cellist. He was very relaxed and perfect for my daughter's lakeside ceremony. Very talented musician. The music was beautiful! His rates were very reasonable. I feel like he gave us a lot for our money. Would definitely recommend him to others. Very simple, exactly what we asked for, solo violinist for small wedding. Was professional and on time, zero complaints. Would recommend for sure! Flawless ceremony and cocktail hour music! 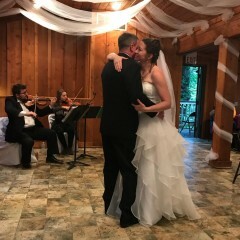 The music was beautiful and The communication with our day of coordinator was amazing and My husband and I couldn’t be happier with how our day went. I got to hear very little of our music for our wedding but what I did hear was quite lovely. I think the high ceilings in our venue made some of the music seem a bit weak, but again that was the venue and not the musicians. They were on time, super efficient in setting up and just settling in to what they needed to do. The conversations with Mirceau prior to our wedding day was very beneficial for me as he asked me questions that I had not thought of and that was very helpful in planning our music along with the ceremony timeline. I do regret not being able to thank them as they were leaving but I do appreciate their talent and professionalism. I will book again! I was extremely pleased with the quick response and the pianist was wonderful! It was exactly what we wanted for our wedding ! They came on time, let us pick out each song, and gave us a preview the wedding! Loved it ! It was a pleasure to be a part of your wedding and thank you for giving us such a generous review. I had a cellist and pianist perform my ceremony music for my wedding at Talon Winery. 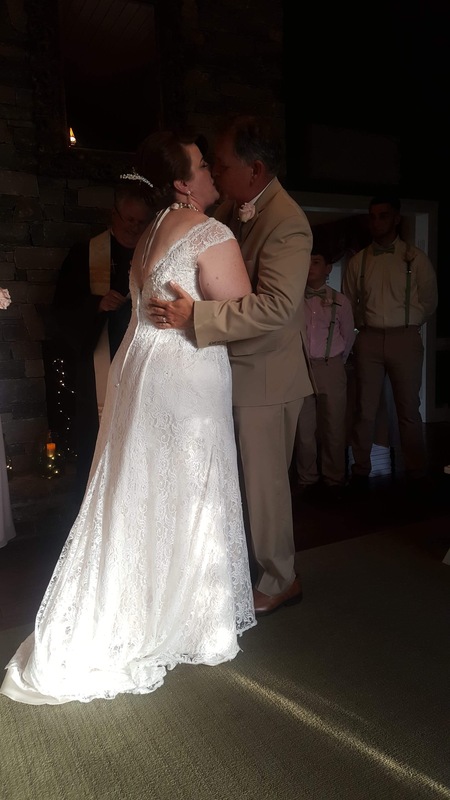 I had specific songs that I wanted performed, so they actually made up the arrangement based off my likes on YouTube and created the BEST compilation of music for the processional and walks down the aisle. It could not have gone better. I was thrilled with their talent and willingness to learn the songs I wanted. It was absolutely perfect. Music was wonderful! Many compliments from our guests. They were very professional. Strings In One we're very professional and did such an amazing job for our wedding ceremony and cocktail hour. They truly helped to make the day very special. Thanks guys!!! everything es perfect. Thanks so much for everything!! 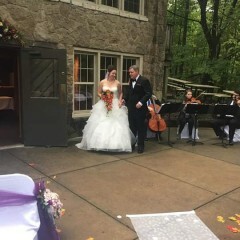 The string music was the perfect touch for our ceremony! Very professional and sounded great! 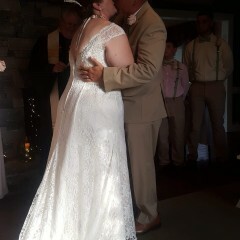 You all are amazing and made our wedding so beautiful. My guests were in awe with the music and Mircea is so easy to work with! Thank you for playing in our ceremony. The music at our wedding was beautiful thanks to this wonderful group. They were so easy to work with and maintained great communication with us throughout the entire planning process. I highly recommend!! The two musicians were amazing! My guests were impressed with the beautiful music for my ceremony. They stayed in touch with me for the past year and made me feel comfortable with my choice in them! I would recommend them for any event! Music was beautiful and they were wonderful to work with. Strings in One were great. From booking to execution, it was fantastic. Book them for your next event; you won't be disappointed. Very professional and beautiful music! We hired Strings in One for our daughter's wedding. The String Trio was perfect and working with them from booking to the end of our event was easy. They were accommodating to our needs and extremely professional and the music was beautiful. I highly recommend them for any event. Thank you, Strings in One!!!! Would you be available to post your review with us on Wedding Wire? Music sounded beautiful and they were on time. The music for bridal party and bride was spot on. The only concern was the wrong song was played for the groomsmen. Overall definitely worth the money! Liz is very kind. They hired one of our violinists to play for their wedding. The mix-up was with the "Star Wars" song. We thought they were requesting the Star Wars theme but they want one of the other songs. We have offered Liz to make it up to them but she said that it was no big deal and that the music was beautiful. We will strive to better clarify songs at future events because we do not want to miss anything. The group of musicians were very cordial, on time and extremely prepared. Their performance was beyond what I was expecting, absolutely amazing. Would book them for future events! Beautiful Music and Great Service! We booked Strings in One for our wedding on 5/28/17. The music was beautiful and performer was fantastic. Thanks, would definitely recommend to a friend! We enjoyed Stings in One playing at our wedding. They were easy to work with and sounded great at the wedding! Everyone bragged about how great they sounded! The musician was nice and friendly. I was a little confused as we had requested a Cellist but our musician was insistent that he play the electric piano for most of the event. Booking was easy and the musician booking person was communicative. Make sure to ask if the musician you are getting is the group or individual listed and also make sure that you specify that you only want the particular instrument or group that you have requested to prevent any confusion. Overall this was not a bad experience but it wasn't great either. Our goal is to provide an excellent service, and we're truly sorry it wasn't great for you. We tried to be clear in our contract about the details. 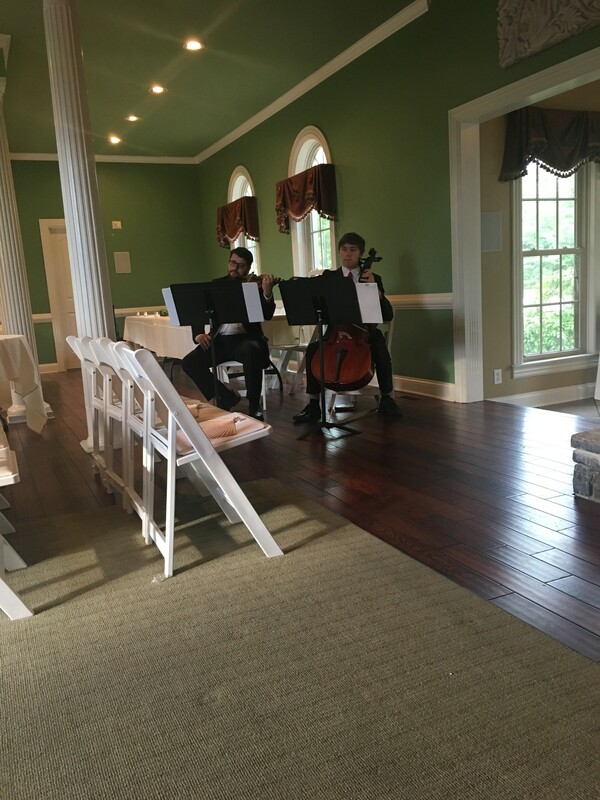 Our cellist is very talented and professional; he came early and stayed an extra half hour at no additional cost, and played all requested music. We had discussed the cellist taking breaks since the event was a few hours long, there was a piano available and he started receiving many requests from the guests so he improvised and the crowd loved it! We hope to have the opportunity to make your next experience a great one! They were very communicative before the wedding and were never difficult to get a hold of. Kristina came to the rehearsal (for a small fee) and was extremely helpful in helping us to figure out the processional order. Since my fiance and I love Lord of the Rings, we wanted 'Song of the Shire' to kick off the wedding. I specially requested it and Strings in One learned it for us! We were thrilled and our outdoor wedding was perfect. I got so many compliments on how nice the music was. Strings in One is definitely worth hiring for your wedding and I wish them the absolute best. Very professional across the board. We were pleased with the event, thanks! Teresa hired a string duo to play for a formal dinner party. We played a mix of classical and pop music for them, which they enjoyed. Strings in One was communicative, professional, and helped me decide what music to choose for my wedding ceremony. The violinist showed up on time, made sure to greet us when he was finished & did a beautiful job. Everyone really enjoyed their fine performance. A little unresponsive to messages, but otherwise an excellent experience. Highly recommended. String in One were very good about staying in touch with me and answering any questions I had. They were able to provide a wide variety of music that fit the personality of both me and my husband. Everyone at our wedding commented on how much they loved Strings in One! I would definitely recommend them. They did an excellent job and everyone was very pleased! Thank you Gigsalad! Hilary had us play violin and piano for their Valentine's Day dinner at the Danville Country Club. It was a great time playing elegant classical music and romantic pop songs. We made a payment to Strings in One in regards having a Cellist at our wedding Oct 29th. 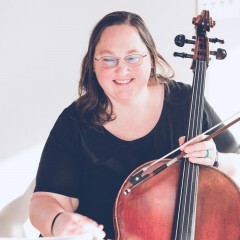 However the cellist states she was contacted by someone that's member of Strings In One but was never paid by you all. We paid the invoice in full but yet the Cellist states she wasn't paid. We ended up writing her a check for $90.00 however the fee was paid in full prior to booking thru GigSalad/Strings in One. Very disappointed in how this has gone. We need someone to contact us immediately regarding this because we are in need of some answers. In regards to her performance,it was very lackluster. Dont even know if she even played a note during the ceremony. Very disappointed in the services and definitely will not be recommending you all going forward if this isn't resolved. Yes, there was a miscommunication on our part about payments. We have sent the money back because we do not over charge for services. Regarding her not playing, she played during the prelude and in the ceremony exactly as requested. I am not sure what they are referring to. We have overall great ratings because we provide excellent music. Strings in One did an awesome job! Thank you! I did and awesome job and was a wonderful addition to my wedding!! The performers were prompt, polite and professional. The music was perfect for the event, allowing people to have conversations but still enjoy the ambience of the soothing sounds. Would definitely book again! Highly recommend for any event! We can highly recommend cellist Mircea Ionescu. 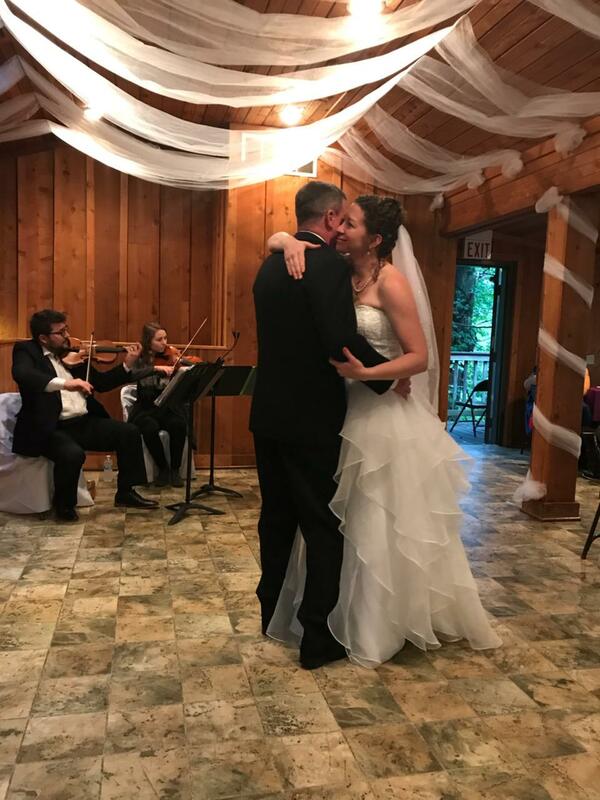 He was professional and timely in all of our correspondence, flexible with the few schedule adjustments that occurred along the way, personable when we finally met, and most importantly, a fantastic musician who rolled with the punches of a ceremony (and parents) that went a bit rogue. 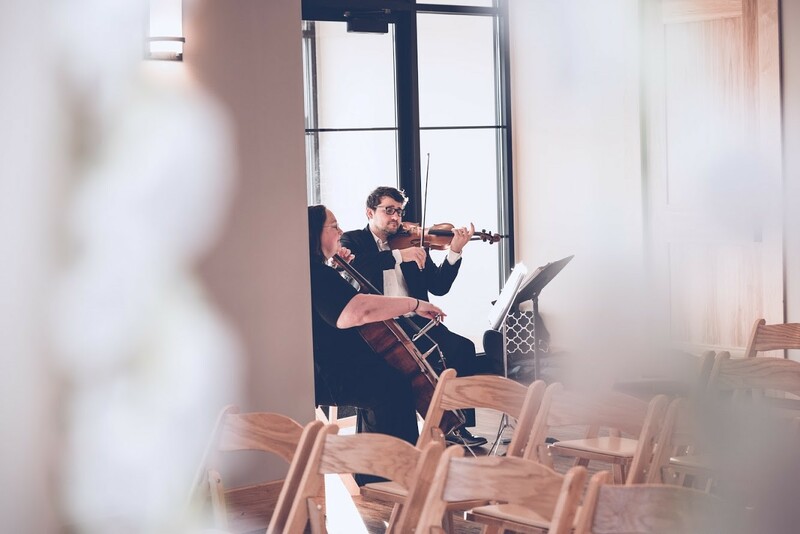 I booked Strings in One for my wedding and they were great..we had good communication prior to the event, I wasn't sure which songs to select and they were of great help by sending me a long list of songs to choose from. The day of the wedding they arrived earlier than expected and they looked very professional. They played really good and we were happy with all the songs they played. Bottom line I highly recommend this string quartet. Strings in one performed the music for my wedding ceremony and couldn't have done a better job! The music was beautiful and they were very professional. I would recommend them to anyone! Our event was small and family oriented. This was the first time I've hired a violinist but I must say I was very impressed. Mircea Ionescu did an amazing job. He arrived on time, played beautifully the pieces that I picked out from the set list and was very professional. I would recommend him for any event, he is very adaptable as well as friendly! Thank you Janeys. It was a wonderful experience playing for you all! Very professional. Showed up on time, played specified music, and sounded beautiful! Also, very affordable! I hired Strings in One Music to play for a holiday open house in my office. I was very pleased with the professionalism and skill shown by the group. Throughout the evening, I had many comments from guests that were impressed by having live music at a venue where it is unexpected. The quality of the music and performance was top notch. It really added a lot to the event and I would not hesitate to have Strings in One Music back the next time we do an open house. Thanks Strings in One Music for an outstanding, professional job! Strings in One provided an ensemble to play music during a birthday dinner for my husband. Their music was wonderful. They even learned music from my husband's favorite movie, Star Wars. They closed the hour by playing "our song", Unchained Melody, to open the dance floor. We were very pleased and my husband was delighted. 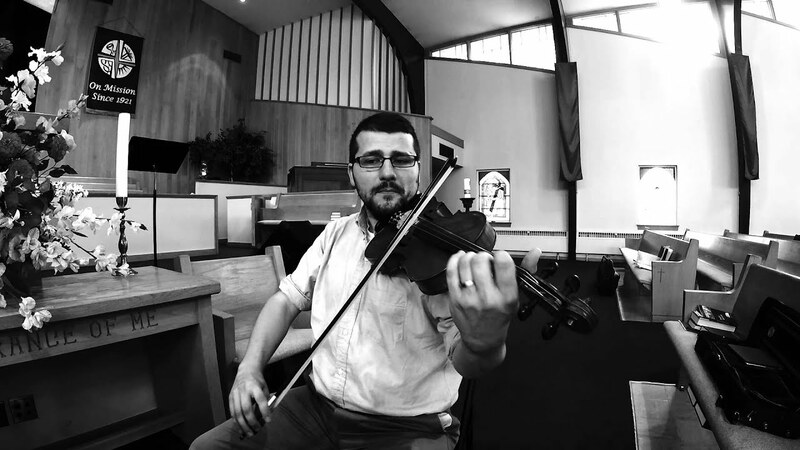 My church booked Mircea Lonescu for our New Year's Eve worship service to play a hymnal on his violin. He was prompt and very professional, super easy to work with!! His talent was enjoyed by all who heard it. I would recommend him for any event and certainly plan to use him again in the future!! After hearing Strings in One play at an event I thought why not have them for my event. It was perfect from the arrival, through the event and after. The music was great and created a perfect atmosphere for our ribbon cutting event of our office opening. The price was very affordable and within our event budget. I highly recommend Strings in One for any event and plan to use them again in the future. 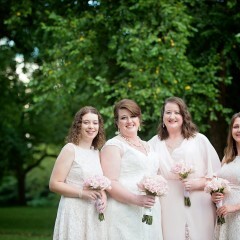 This was one of the best parts of my wedding! I was looking for simple elegance in a solo cello for my wedding. Strings in One made it easy to tell them what I wanted while getting valuable feedback for what would be perfect for my ceremony. I was able to ask for custom music for my bridal party and myself which made my ceremony so much more personal. They arrived on time, (looked dashing! ), and kept my guests in awe while they waited for us to arrive. Every single one of my guests had commented on how beautifully Strings in One played. Truely the highlight of my wedding and I would recommend to anyone for any event! After reading rave reviews about Strings in One, I was very confident in my selection for a string quartet for my Oct 3rd wedding. The week of, I sent them several confirmation emails including one about a slight change in venue (due to weather constraints.) I confirmed with them early in the week hoping the info would be clear several days before the wedding. The group was sending me emails the night before DURING my rehearsal asking for times, locations, phone numbers---all things I had previously sent them. That made me very unsettled, knowing they were jotting this stuff down only the night before the wedding. I asked them MORE THAN THREE TIMES to arrive BETWEEN 4:15 AND 4:30pm and be ready to play starting at 4:50pm as the ceremony began at 5:30pm. They did not show up to the venue until 5:15 and weren't playing until 5:20. To top it off, it was a trio that showed up instead of a quartet. Absolutely ridiculous. Their excuse was traffic. But I had several other guests come from Louisville that day and had experienced no issues. It was poor planning and poor communication. 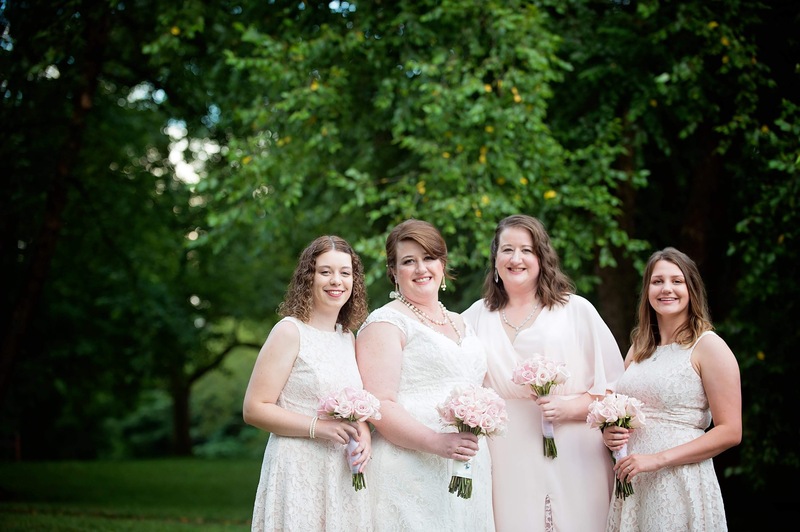 Their lateness gave me great anxiety leading up to the ceremony---which is something a bride should NEVER have to experience. I would not recommend. We apologize that your experience was disappointing. Our contract and the payment was for a string trio (not quartet) to play starting thirty minutes before the ceremony. We do not usually need 45 minutes to setup. We did start playing the music as guests were arriving. We did adjust the payment and even played as the guests were leaving. 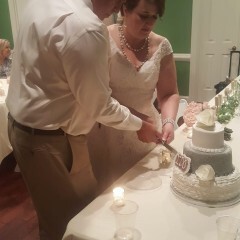 We played all the songs that were selected by Kate and received many comments from what guests saying to us the music sounded beautiful, which is what we always strive for. 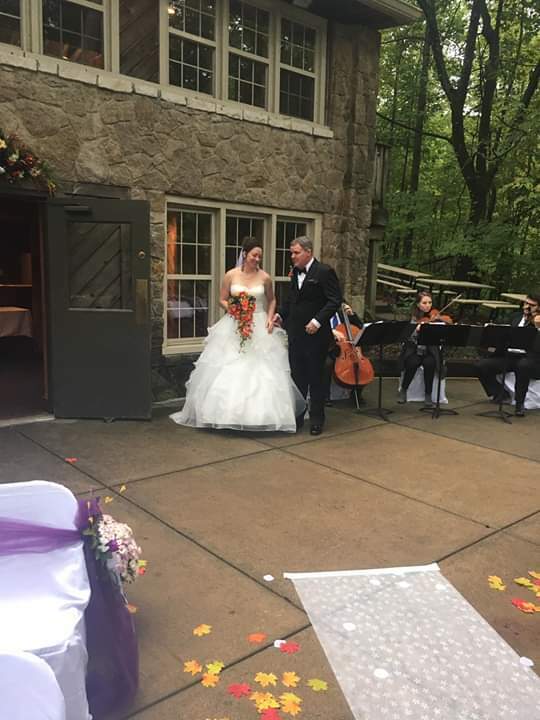 I had a cello player at my wedding and he was wonderful!! Very professional and great music!! Loved it and would reccomend it over and over! 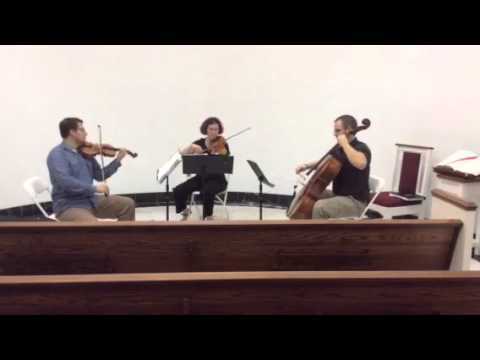 I book the string trio to play at my Mothers memorial service in the gym at church after the religious service. Walking into the gym with our friends and family for dinner with the trio playing was the perfect transition. The string trio was awesome, they were ready and playing as everyone came in and played beautifully throughout the dinner. 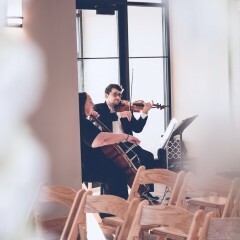 The string trio played our requested songs and many others from our favorite artists along with music of their choosing. It was the perfect compliment to complete the celebration of my Mothers life, really setting the mood and the music was very personal. Everyone commented on how nice it was having the string trio play. I am so happy I booked you guys! You added that special touch and feeling to our celebration. Thank You again for a perfect night. Strings in One you are awesome! Thank you for the review and kind words. It was a pleasure to play for your family and friends. Our condolences and best wishes to you all! Mircea was a supplemental cellist in my church's Christmas music program this year. We called him on short notice, but he was willing to receive the music through email, rehearse on his own, and come play at the concert. He performed wonderfully and was very kind. Wonderful performers with excellent skills. Easy to direct and suggest and adapt to my needs. Will call on again. I had a great experience with Boony! He showed up when he said he would. He was flexible, and most importantly, he sounded great! His musical contribution to our set was so tasteful. He followed my lead, but at the same time added his appropriate improvisations. 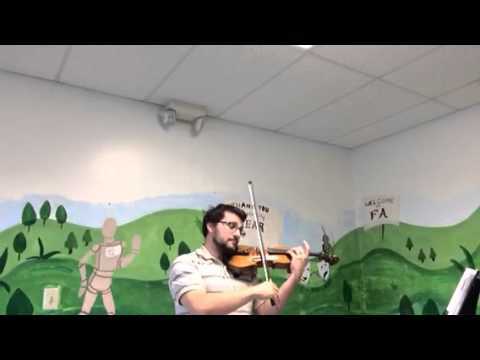 Boony is a great Violinist or Cellist and can sight read flawlessly and improvise beautifully. I would recommend him for any event! Mr. Ionescu and I have collaborated musically several times, most recent being the Christmas concerts at Walnut Street Baptist Church. He is always very engaged with the music and eager to do his best. Mr. Ionescu is also constantly learning and growing as a musician. This is one of the most impotant marks of a fine music maker. Highly recommended! Mr. Ionescu played the cello at my wedding ceremony and he was absolutely amazing. He was very easy to communicate with and was very professional. The music he played at my ceremony was lovely and I would recommend him to anyone. I've used 'Strings in One' on many occasions and would highly recommend them to you for any social, professional, or religious event you have planned. Great to work with, prompt, professional, and obviously amazing musicians. You can expect dependable, excellent and flexible service to meet your needs. Send a message or call to get a quote and talk through any questions you may have. You can expect a prompt response to all your questions. I will be able to play the violin, viola, cello and or piano if you need one instrumentalist. There is also the possibility for two to five instrumentalists combinations if your event needs it. 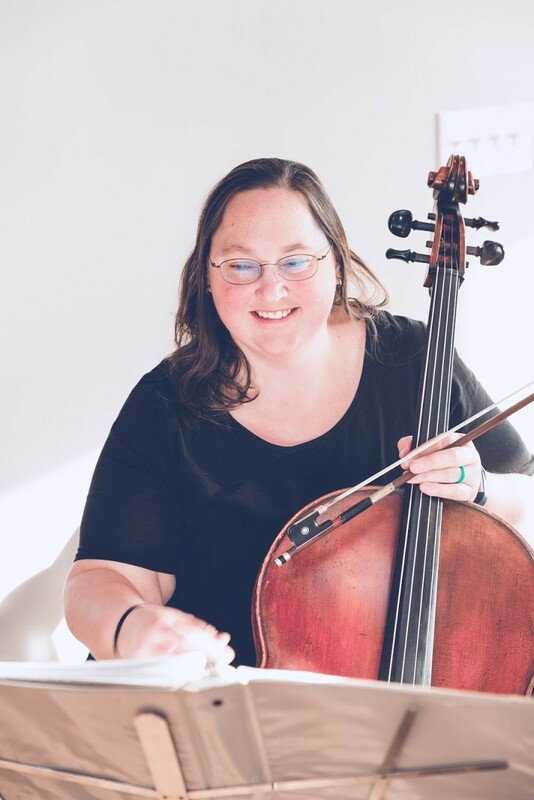 Strings In One is a group of young classically-trained professionals based in Louisville, KY and surrounding area. 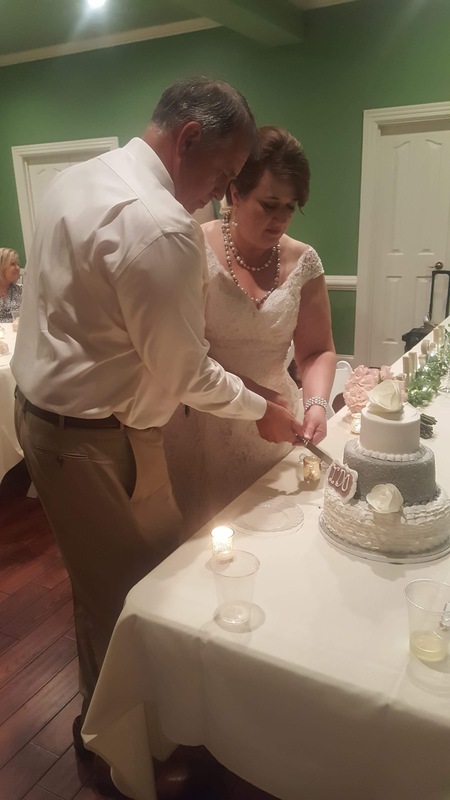 We are available to perform wedding ceremonies, cocktail hours, receptions, holiday events, anniversary parties, engagements, corporate events, church services, or any other special event. We have a vast repertoire of classical, popular, pop, traditional, oldies, and sacred song selections and can also take special requests. 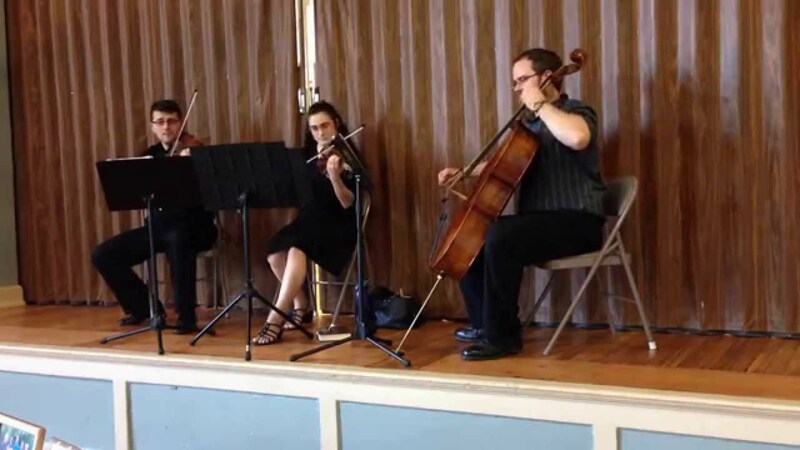 We are available to play in many different ensebles, such as a string quartet, trio, duo, cello, violin+piano, cello+piano, violin+guitar, etc. Our goal is to make your wedding or event as memorable and magical as possible. Typically, all we need is chairs. If clients would like for us to be amplified they will need to provide the sound equipment.